Removals are not easy and require a lot of time and dedication. There are many things that need to be planned and done before the actual removal can take place. From packing to declaring your change of address to gas companies etc. it is a lot to handle. Often, especially if you are busy working or have other commitments such as University or children, you may realise that in actual fact you cannot do it all alone. You have the option of hiring a professional removal service that will help you get everything sorted in time for the big day. You even have the option of hiring a service whereby someone will come to your house and pack all of your belongings. Sounds perfect right? However, the price often throws people off, especially if you are buying your first home, or if you have just spent a fortune putting down a deposit for a flat. So what do you do then? Well one option would be to bite your tongue and go ahead and do it yourself. But sometimes, there are just not enough hours in the day to allow you to go about your daily business and doing any removal preparations. Do you have any alternatives? Why yes you do! This is where beloved family members come in. If you have family members that live nearby, you could always ask for help. After all, you will not get anything unless you ask for it. This does not mean that you demand help. Always ask politely. Remember that your family members may have other commitments too, so if they do happen to say no, do not take it offensively. Once you have rounded up a few family members, there are many ways in which they can help. Packing is one of them, which is by far one of the most time consuming tasks of the whole removal process. 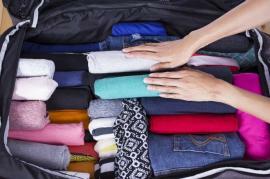 You could ask each family member to start packing items belonging to different rooms. Similarly, you could get a chain going, whereby one person packs the boxes whilst another one labels and seals them. A third person can then be in charge of moving the boxes to a safe place where they will not be hazard. You will soon realise that having your family members there helping you pack will make the biggest difference. Similarly, you could ask your family members to help you clean the place before you leave it. Once again, each family member can be in charge of a certain room, or you can set up a system where each family member has a specific task e.g. hovering, dusting, mopping etc. This is going to be a lot easier and quicker to do than if you were to do it yourself. Another way in which family members can help is by actually helping you transport your items. If every family member has a car, you may find that you will not need to hire a removal service, since the cars alone could accommodate all your items. It would be courteous to pay them a small fee, at least to cover petrol costs, but you may come to find that many relatives will refuse to take any money in the first place. Having family members stand by you in times of need is a sign of people who love and care for you. Having your family involved in your removal can give you time to bond whilst getting your removal organised.